Apple today updated its dedicated Shortcuts app for iOS 12 devices to version 2.1.1, introducing support for the new iPad Pro models that are set to be released tomorrow. Apple's 11 and 12.9-inch 2018 iPad Pro models are the latest Apple devices that will work with the Shortcuts app, which is designed to let you create multi-step shortcuts and automations using first and third-party apps that can then be activated with Siri commands. With Shortcuts, for example, you can create an automation to do something like turn on the thermostat at home using the Nest app, text your roommate that you're on the way with Messages, and open up the Maps app with directions home all with a single "I'm going home" Siri command spoken when leaving work. 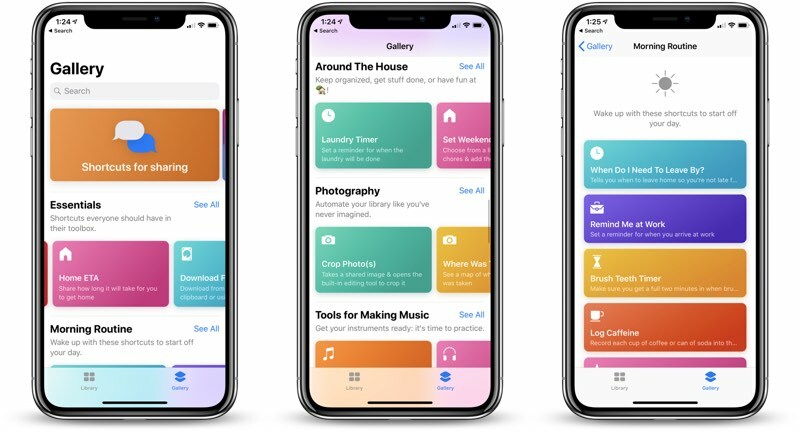 Shortcuts are deeply customizable, with Apple's Shortcuts app providing a gallery of Shortcut suggestions along with the tools to create your own. In addition to support for the new iPad Pro models, the 2.1.1 update introduces a long list of bug fixes, as outlined in Apple's Shortcuts support document. Fixed an issue where the selected photo album in the Save to Photo Album action may be reset to "All Photos"